January is the month of resolutions. We pledge to exercise more, eat better, save more, be more productive, be less stressed, wake up earlier, stop procrastinating, and just generally do more. We pledge to be happier. Unfortunately, life is complicated and come February or March, our new routines are often abandoned and forgotten – which is normal! All of us are susceptible to losing our determination and motivation. For 2017 we’ve created a five-part blog series that focuses less on adding and doing more, and more on simply being present and focused with things as they are. If you missed Part 1 on mindful meditation or Part 2 on being present with those who matter, Part 3 on improving your habits by improving your sleep, or Part 4 on making a schedule that helps you help yourself – click on the links above. Although the pings, buzzes, alerts, and notifications help us feel connected and busy, it’s often not at the right times with the right information. We scan emails while watching TV, answer texts while finishing a report, and lose hundreds of hours and minutes scanning the seemingly endless flow of information from our timelines and newsfeeds. Each time with a cost to our focus, productivity, and mental clarity. So why can’t we just ignore digital distraction? As many of us know, this is really difficult and that’s because of two main factors: our self-control is a finite resource, and much distracting tech has been designed to make your brain crave more. When it comes to combatting distractions, self-control can certainly help, but unfortunately only for a while. It’s possible to ignore your phone’s buzzes and the lure of your inbox, however it get’s harder throughout the day. Exercise over sleep, a deep breath over anger, and choosing to work over answering your phone, all tap the same reserve of self-control that gets depleted as the day goes on. This helps explain why New Year’s resolutions are lost and forgotten come May. To add to the problem of diminishing self-control, the digital distractions that most of us spend fighting are actually designed to keep us coming back for more. Social media and push-notifications release two main chemical rewards in our brain that keep us coming back for more – dopamine and oxytocin. Dopamine rewards us for seeking out novelty, while oxytocin helps create feelings of compassion and trust – helping us feel more connected to those around us. 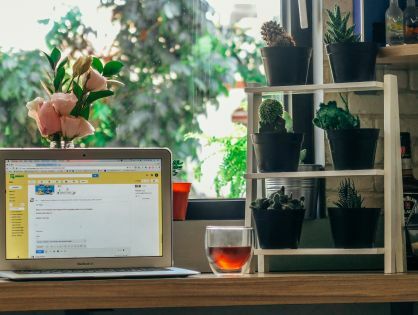 Although there are many benefits and conveniences that come with our digital technologies, it can be easy to fall into unhealthy habits without the right tools and techniques. Fighting off digital distraction from your work, family, hobbies, and thoughts can seem impossible at times and it’s easy to feel out of control. Luckily there’s a solution – fight fire with fire. At Freedom, we believe that technology should always work for you, not against you, so we created a simple digital solution for a tricky digital problem. Freedom is a productivity platform that blocks distracting sites and apps across all your devices for a set period of time. With Freedom, you can take back control of your tech and make sure it’s not distracting you from the things that matter most. All you have to do is login. Select which sites and apps you wish to block. Choose for how long and on what devices, and voila – you’re free to do what matters! With Freedom you can even schedule blocks in advance, and create recurring blocks to help make productivity a habit. Life can be distracting, but your tech doesn’t have to. Try Freedom today and free yourself from digital distractions.